Executive Chef Andy Yanak is celebrating twenty years at The Cuyahoga Group. 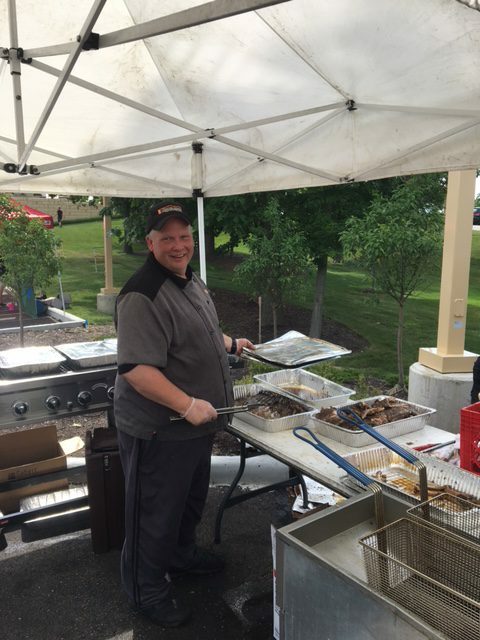 He is the Director and Co-Owner of Catering Experience, a division of The Cuyahoga Group. Andy brings decades of restaurant, private and corporate culinary experience that transforms workplaces into memorable, celebratory occasions. Whether it’s holiday catering for third shift employees at a family-owned machine shop, an outdoor bar-b-que for thousands held under tents and lights in the parking lot of a global corporation—or weddings, showers, or any occasion in between, Andy’s attention to detail, delicious culinary creations and superior service, framed in customized themed settings—elevates any atmosphere to a place that brings people together for amazing food, friendship and unforgettable memories. What is your role with The Cuyahoga Group? Andy: I’ve had many roles with the company, from Dining Unit Manager to one of eight District Managers overseeing ten cafés. After the Compass merger, I opened Catering Experience, which is the catering division of The Cuyahoga Group. Along the way I’ve been a part of many Task Groups, Sales Presentations, New Openings and Unit Transitions. I’ve also helped develop our new Mobile Dining Program. Currently, my role is the Executive Chef and Co-Owner of Catering Experience, and I continue to help out wherever needed. How long have you worked for The Cuyahoga Group? 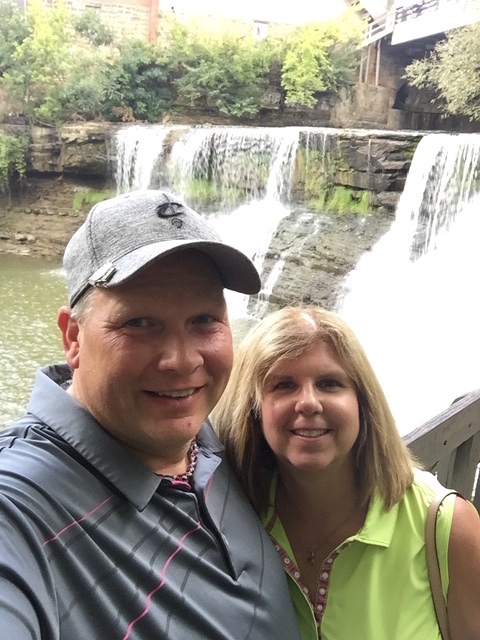 Andy: As of October 14, 2018, I have been with The Cuyahoga Group for twenty years. What do you like most about your job, and why? Andy: The trust and respect from the Executive Team to run with an idea—and they challenge us to do our best to improve the programs. 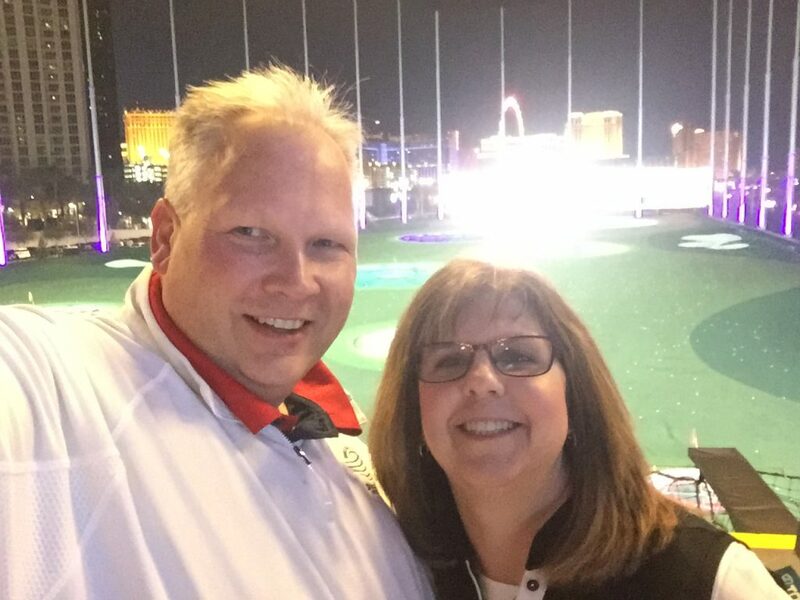 Andy: I have been married to my best friend, Lisa, for 32 years, and we both love sports. What is your favorite food/favorite meal? Andy: A medium rare filet with white cheddar mashed potatoes, any vegetable, and a nice glass of Appassimento wine (made from dried grapes). Andy: Classic 70’s & 80’s music – Fleetwood Mac, ELO, Three Dog Night. Andy: I like to continue to travel with Lisa and continue to Live, Laugh and Love! For the best in Workplace Celebrations, choose Catering Experience! For holiday catering or special occasions, let Catering Experience provide an experience where superior food, excellent service and vibrant themes bring happiness and great memories for everyone who attends! For menu and event theme ideas or to get a quick quote, check out our Catering Experience website, and let the celebrations begin! Call him at (800) 901-8363 ext. 110; or (216) 402-1292. Check out The Catering Experience blog, here. As caterers, we’re committed to making events memorable and special. We plan and serve everything from continental breakfasts to luncheon buffets to vibrant-themed evening dinners, and galas. We consider the initial concept, menu, tables, linens and scenery, so your event accomplishes exactly what you want. We will work with you to do it all within your budget. © 2018 Catering Experience ALL RIGHTS RESERVED.